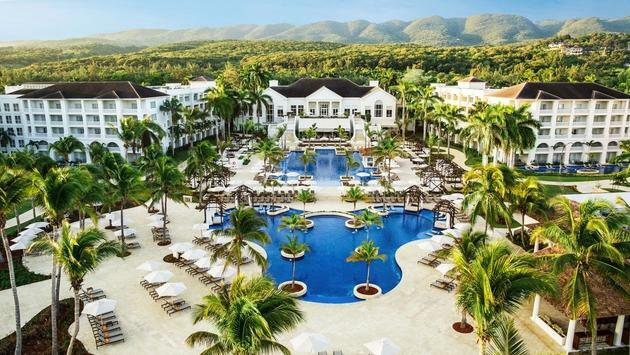 Have your clients come soak up the Caribbean sun in Montego Bay, Jamaica. We’ll handle the details while they enjoy white sand beaches, ocean front dining, live entertainment, exciting activities and spectacular ocean views. Book during our Wild Winter Sale and save up to 55% + kids stay free! Book by May 7, 2019, before this deal takes off. Offer valid for a discount of up to 55% off the Hyatt standard rate for bookings made now through May 7, 2019 for stays from now through December 20, 2020 at Hyatt Ziva Rose Hall. A 3-night minimum stayis required. A limited number of rooms are allocated to this offer; reservations subject to availability. Offer not valid with groups, conventions, other promotional offers, tour packages or special rate programs. Rate is per room, per night, based on double occupancy. Offer excludes, unless specifically noted, gratuity, service charges, mandatory resort fees, applicable taxes and other incidental expenses. Additional charges may apply for additional guests or room type upgrades. Promotional blackout periods may apply due to seasonal periods or special events, and normal arrival/departure restrictions apply. Offer not valid in conjunction with previously booked or held stays and may not be combined with other offers. Not redeemable for cash or other substitutions. Any unauthorized transfer, sale, distribution or reproduction constitutes fraud. Hyatt reserves the right to alter or withdraw this offer at any time without notice. Not responsible for errors or omissions. Other restrictions may apply.Kids StayFreeoffer valid for bookings made through May 7, 2019 for stays from May 23, 2019through December 20, 2019 at Hyatt Ziva Rose Hall. A 3-night minimum stay is required. Promotional blackout periods may apply due to seasonal periods or special events, andnormal arrival/departure restrictions apply. Blackout dates: July 5, 2019 –August 11, 2019. A limited number of rooms are allocated to this offer; reservations subject to availability. Offer not valid with groups, conventions, other promotional offers, tour packages or special rate programs. Offer excludes, unless specifically noted, gratuity, service charges, mandatory resortfees, applicable taxes and other incidental expenses. Additional charges may apply for additional guests or room type upgrades. Offer not valid in conjunction with previously booked or held stays and may not be combined with other offers. Not redeemable for cash or other substitutions. Any unauthorized transfer, sale, distribution or reproduction constitutes fraud. Hyatt reserves theright to alter or withdraw this offer at any time without notice. Not responsible for errors or omissions. Other restrictions may apply.